Discussion in 'Science Fiction & Fantasy' started by Ethros, Nov 2, 2009. 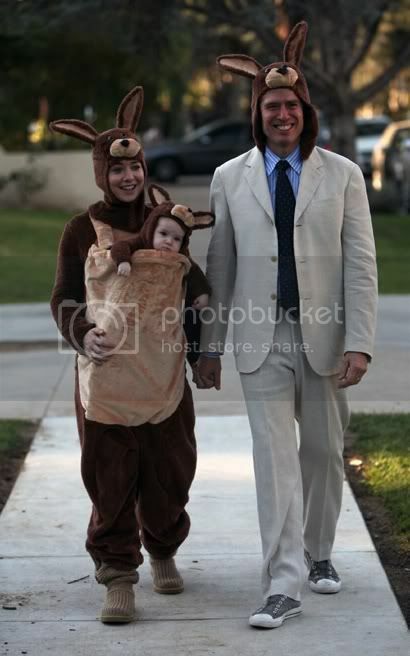 Just wanted to share this pic of Alyson Hannigan (Willow) & Alexis Denisof (Wesley) taking out their new baby this Halloween, as it made me smile a lot. I knew it'd be this before I clicked. I saw it yesterday online and laughed myself silly. Aly is just too damn cute!! nice of Alexis to make an effort. That's awesome why is Alexis in a suit? I wonder how Anya feels about kangaroos. They're kinda like bunnies but they're bigger & can jump farther. Because that's how Wolfram & Hart wanted him to look when they brought him back! I find nothing cute about the fact that some dweeby actor got to Alyson before I did Cuz you know I had a shot with her, I really did. I love the fact that she's wearing Uggs as well. Nice touch. I saw these pics a couple of days ago. So cute! 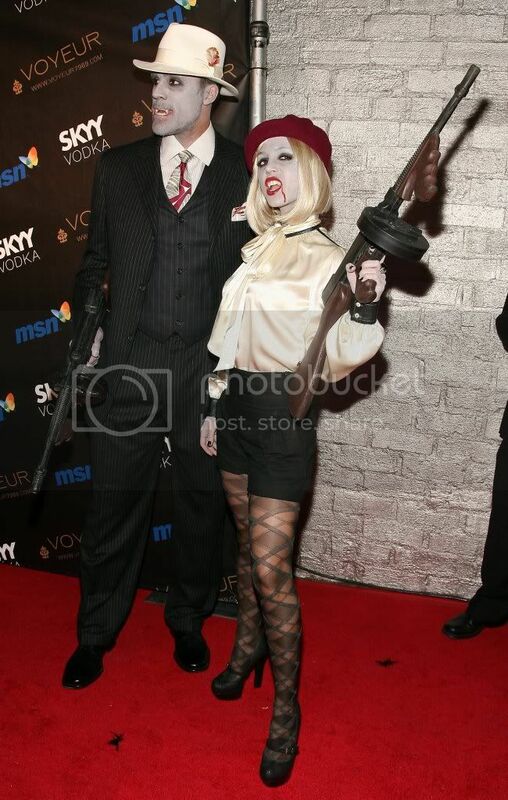 Eliza Dushku and partner as a vampire Bonnie and Clyde. Michelle Trachtenberg as Marie Antoinette (note the bloody neck). Awwww! Mega-cute athough you have to think it would scare the hell out of Anya? I see Alexis shares Wes' taste in suits.